The Trump Administration has begun removing many asylum-seekers from the United States to Mexico, where they are to remain until their immigration court hearings. While the Mexican Government does not support the unilateral decision to implement this international-impact policy, Mexico has decided to honor its commitment to its migration policies by receiving these migrants. 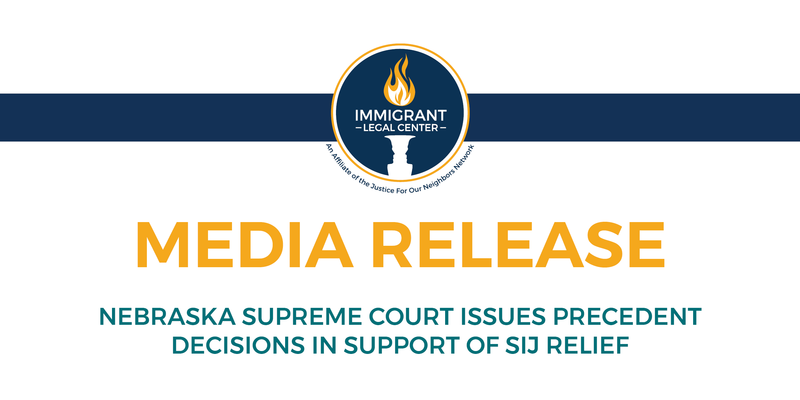 Authorities … Continue reading "“Remain in Mexico” Policy Hinders Asylum"
***FOR IMMEDIATE RELEASE*** Thursday, July 19, 2018 Contact: Magdalena Cazarez, Communications and Development Assistant 402.504.0074 Magdalena@immigrantlc.org Omaha, NE – The Immigrant Legal Center applauds the Nebraska Supreme Court’s twin precedent decisions issued today reaffirming that eligible abused, abandoned, and neglected immigrant youth in Nebraska are entitled to obtain the state court orders needed to pursue … Continue reading "Nebraska Supreme Court Issues Precedent Decisions in Support of SIJ Relief"
***FOR IMMEDIATE RELEASE*** Thursday, July 19, 2018 Contact: Dawn Bashara, Communications and Development Director 402.898.1349 Dawn@immigrantlc.org Omaha, NE – On April 23, 2018, Legislative Bill 670 (which included Legislative Bill 826 as an amendment) was signed into law by Governor Pete Ricketts. LB 826 was introduced by Senator Tony Vargas on January 4, 2018. 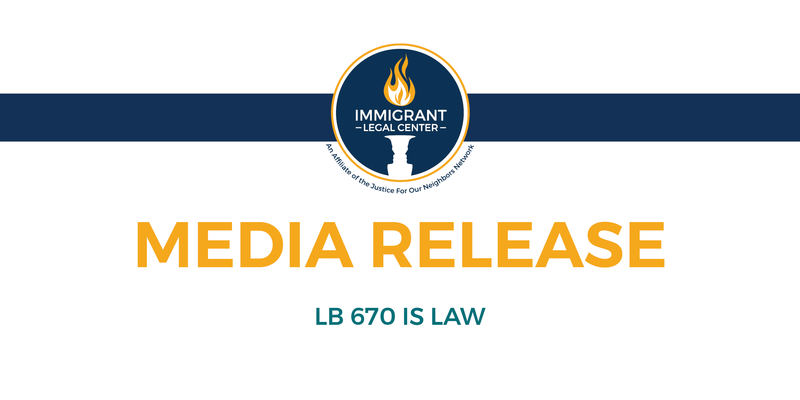 The … Continue reading "Legislative Bill 670 is Law: A Necessary Step to Qualifying for SIJ Relief"